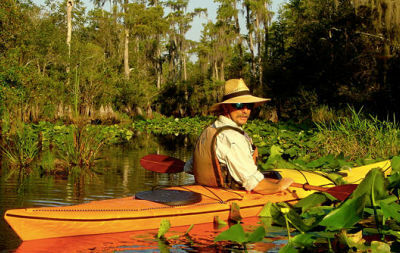 Permits, shuttles, airport pick up & drop off, meals on the water, two Adventures in Florida guides, canoes, and all paddling gear. 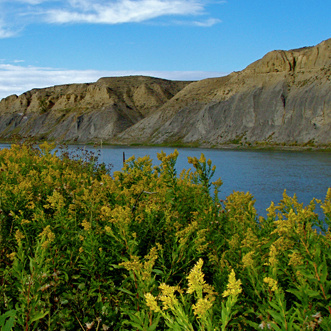 The Missouri River is the longest river in North America, and one of the longest in the world, even though its lower section is named the Mississippi. 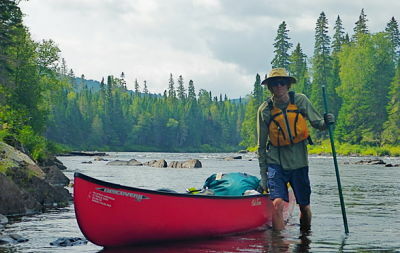 The Upper Missouri National Wild and Scenic River flows east for some 150 miles through some of the wildest, loneliest, and most historically significant stretches of open space in the lower 48. 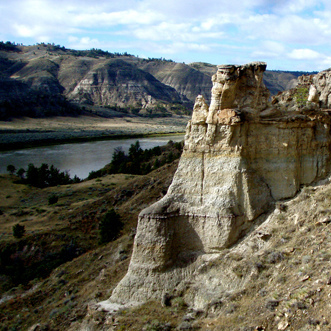 This desolate and fissured landscape is known as the Missouri Breaks. Meriwether Lewis called this country “scenes of visionary enchantment”—an appraisal that still holds true today. 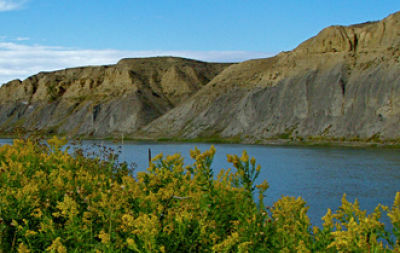 The section from Fort Benton to Coal Banks is studded with islands and riverbanks alive with wildlife and various birdlife. Deer, pronghorn antelope, bighorn sheep, elk, and 212 species of birds call this place home. Its scenic sweep through some of Montana’s best riparian habitat is matched only by its place in the heart of the country’s historic westward expansion—Lewis and Clark made their way past the same wilderness bluffs some 200 years ago. 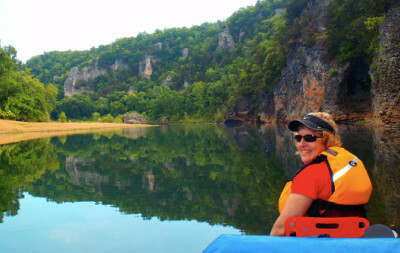 When we aren’t playing on the water we will take the time to explore the narrow canyons, sandstone arches, and the same shorelines where Lewis and Clark made their camps. In the spectacular White Cliffs area we will make the climb to the famous Hole-in-the-Wall. In other wilderness areas, we will discover ravines, abandoned homesteads, and the remains of native Indians in the form of rock circles. 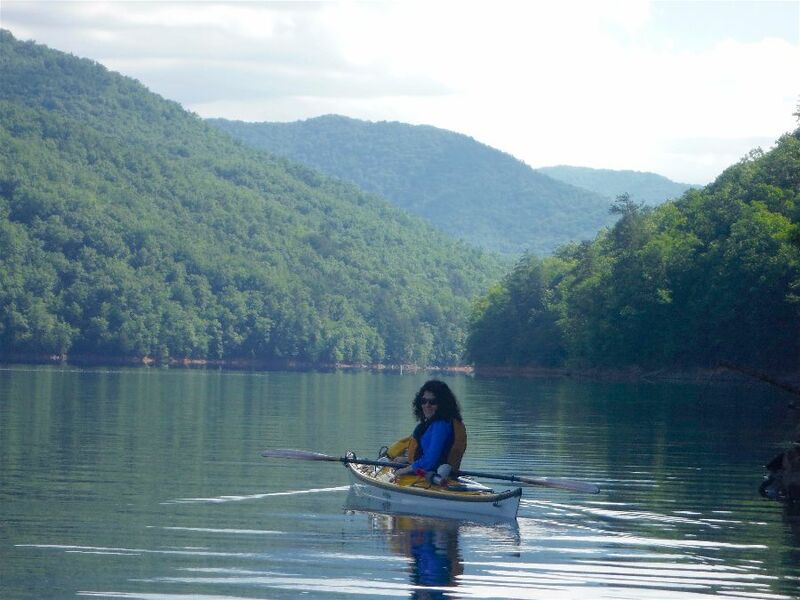 The plan is to paddle the entire 149 miles of the National Scenic portion of the river, however, if the water is super low, headwinds are too strong, or the group shows signs of slowing down, we will alter the route and mileage if needed. Please don’t expect an itinerary set in stone. We will be traveling on nature’s time. Moderate - The Upper Missouri River moves quick and runs cold. 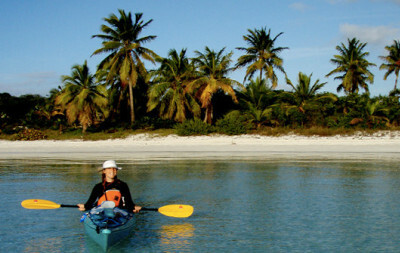 Because of these facts we ask that participants have some paddling experience. 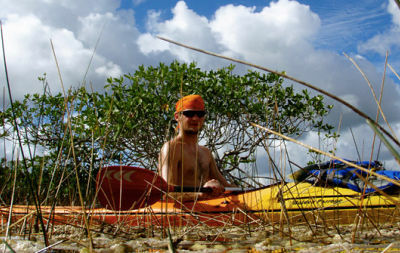 With a 4+ mph current large mileage days 15-20, are easy even without paddling. We can expect a headwind on at least a few days. Meals begin with lunch on the first day on the water. Participants can expect wholesome meals with lots of veggies, fruit, and snacks. Most diets can be accommodated, just let us know prior to the actual trip. 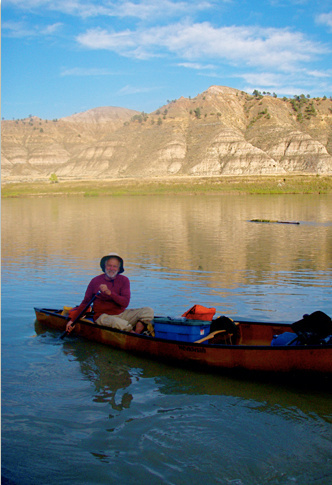 Our first nights of camp will be at a riverside County park near the town center of Fort Benton. Campsites on the river will be a mix of backcountry primitive and a few designated park service campsites with pit toilets.